Location: To the west of the modern A55 at the end of a private road. Notes: Treborth station was on the Menai Bridge – Afon Wen line which opened in stages between 1852 and 1871. 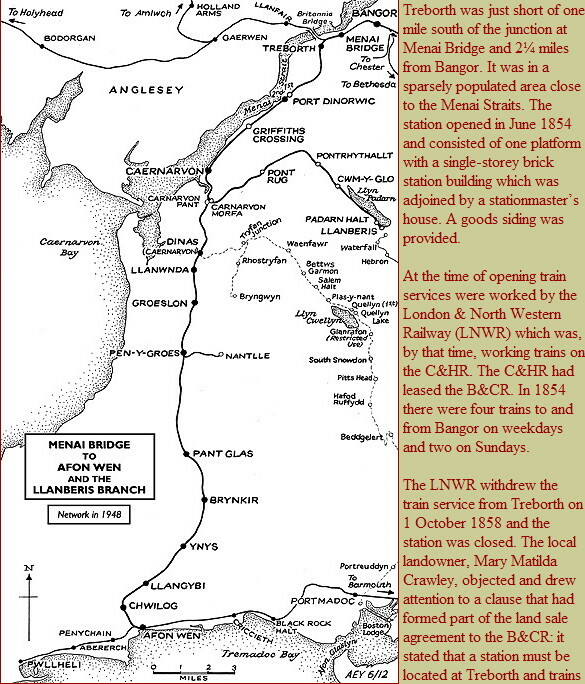 The station was originally part of the Bangor & Carnarvon Railway (B&CR) which was incorporated on 20 May 1851 to build a line from the Chester and Holyhead Railway (C&HR) at Menai Bridge to Caernarfon (‘Carnarvon’ at that time). The single-track railway opened to Carnarvon for passenger services on 1 July 1852. Goods services followed on 10 August 1852.
must call there in perpetuity. Reluctantly a service was reintroduced in November 1858. By August 1862 there were seven weekday passenger trains running in each direction between Bangor and Carnarvon with three trains on Sundays. In 1867 the B&CR was absorbed into the C&HR. original became the ‘down’ (Afon Wen direction). The new platform was provided with a simple waiting shelter. By 1879 the C&HR had been formally absorbed into the LNWR although it had effectively been part of that company’s network for many years. 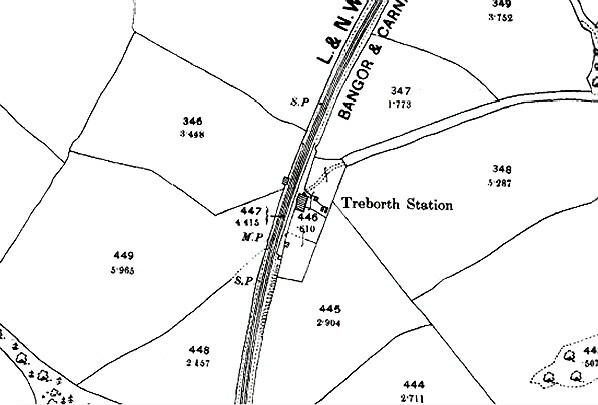 In December 1895 Treborth had four trains in each direction on weekdays. It had no Sunday service. In July 1922 there were seven northbound departures but only four southbound on weekdays as shown in the table below. There was still no Sunday service. On 1 January 1923 Treborth became part of the London Midland & Scottish Railway (LMS). The LMS summer timetable for 1932 showed only four northbound and three southbound Monday to Friday. There was an additional northbound service in the middle of the day on Saturdays. The timetable did show that a number of trains would stop at Treborth to set down only as long as notification was given to the guard. On the 1 January 1948 Treborth became part of the British Railways (London Midland Region). The summer timetable for 1948 showed two services to Afon Wen, one to Caernarvon and two to Bangor on weekdays. A camping coach was located at Treborth in the 1950s in the goods siding. It was never well patronised and was removed after a couple of seasons. By the winter of 1956/7 the service was down to two Afon Wen services, one Pwllheli service and one Bangor service Monday to Friday. On Saturdays the Pwllheli service did not run. The station closed to all traffic on 2 March 1959; presumably the requirement to provide the station ‘in perpetuity’ had been cancelled. 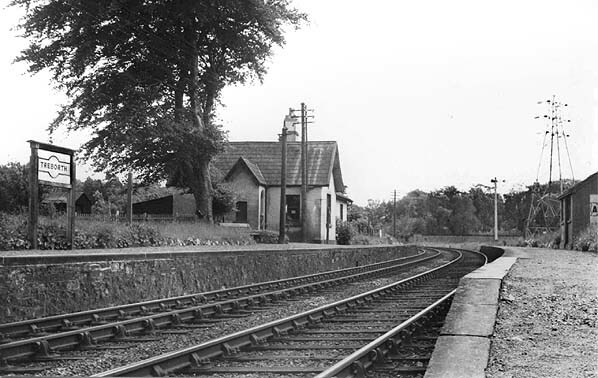 The line remained open to passenger services (although after December 1964 only between Caernarvon and Bangor) until 4 January 1970, but it was singled in 1966. Although closed to goods on 4 August 1969 because of a fire on the Britannia Bridge on 23 May 1970 it reopened for diverted Holyhead freightliner services that ran to Caernarvon, on 15 June 1970. The last freightliner ran on 5 February 1972, and the line closed completely. It was lifted shortly after. 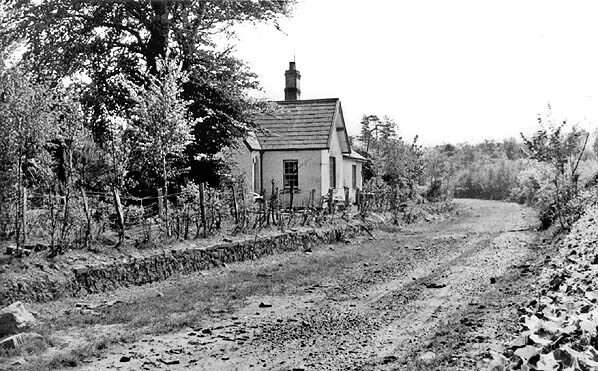 The Treborth station building became a private dwelling and was still standing in 2012. Treborth station looking south from the north end of the 'up' platform in 1949. The simple facilities at this remote location are clearly illustrated. 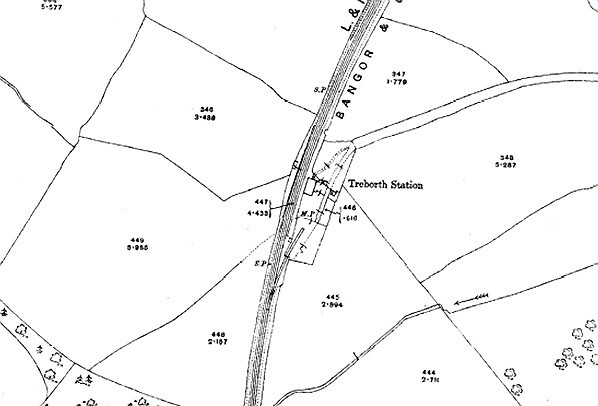 Treborth station as shown on a 1900 map. 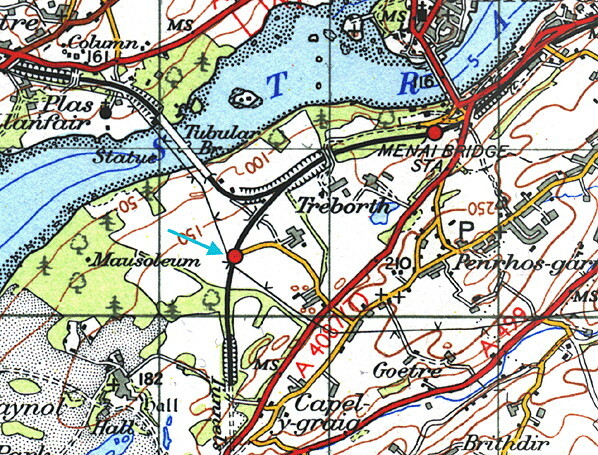 On this map from 1916 a siding is shown. 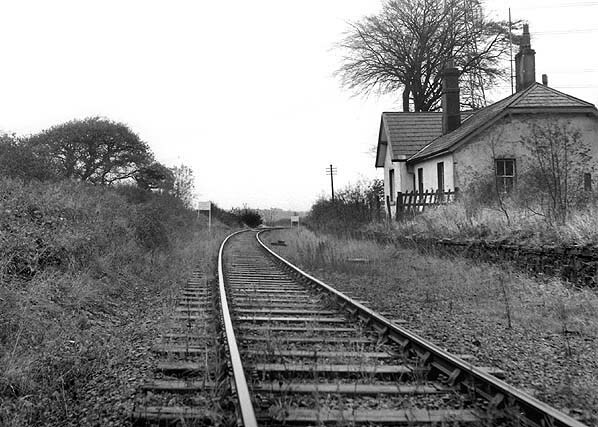 Looking south along the 'up' platform at Treborth station in the early 1960s after it had closed to all services. At this time trains were still running between Menia Bridge and Afon Wen. 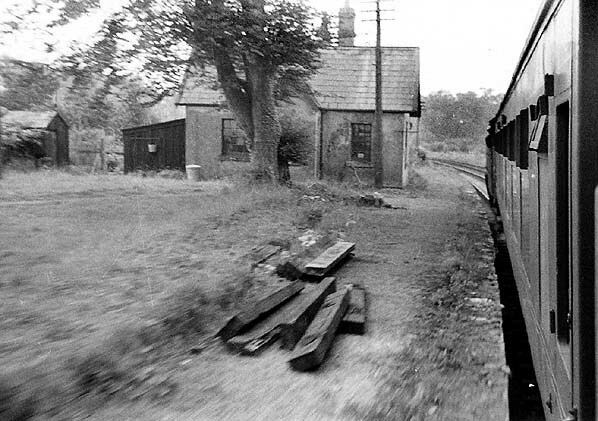 The 'down' platform and station building at Treborth station seen from a southbound train in August 1964. The station had closed five years earlier. 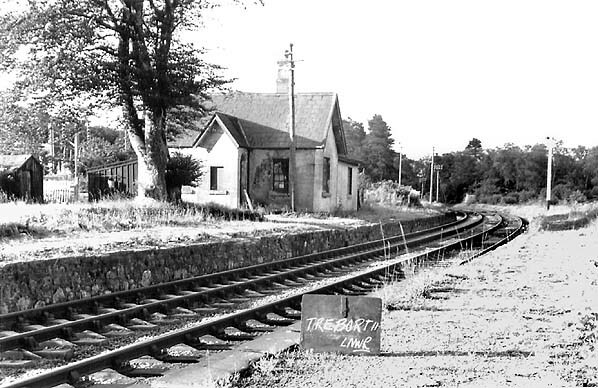 Treborth station looking north in the late 1960s. The line through the station was singled in 1966. In May 1977 the platforms at Treborth station could still be seen although in a degraded condition. 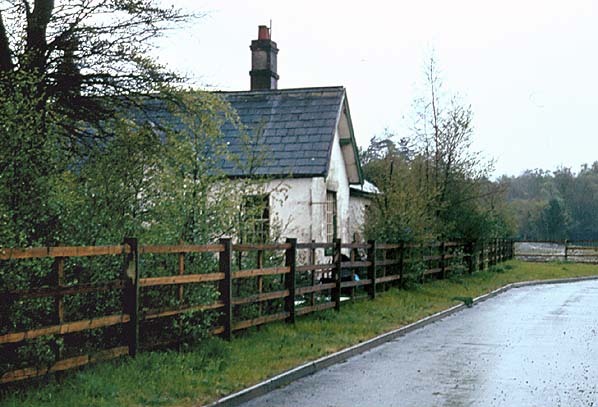 The station building at Treborth seen looking south in 1981. Treborth station as seen from the station approach road in September 2012.